love a good Zuma files story. 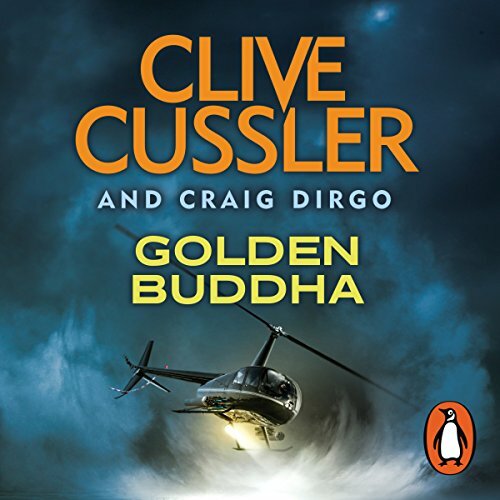 Penguin presents the audiobook edition of Golden Buddha by Clive Cussler with Craig Dirgo, read by J. Charles. When Cabrillo and his ship are hired by the US government to find an ancient statue known as the Golden Buddha, stolen from the Dalai Lama in 1959, the stakes couldn't be higher. Success or failure will determine the future of Tibet. storyline jumped about and was weak and hard to believe. not one of his best. I tries, I gave it a few good hours but in the end, I had to close my eyes and think of another book. I instantly forgot who any of the characters were, aswell as most of the plot. I couldn't recommend it however I can't its bad, possibly just not my style of book. story was ok not keen on the narrator. liked bScott as a narrator. recommend story. I will have to re listen to this book as I got really frustrated trying to work out what this narrator was saying. Found it difficult to recognise the characters as all the voices had changed. Some of the accents were absolutely dreadful. The storyline is true Clive Cussler where suspension of reality has to take place as a good tale weaves it's way through the pages. 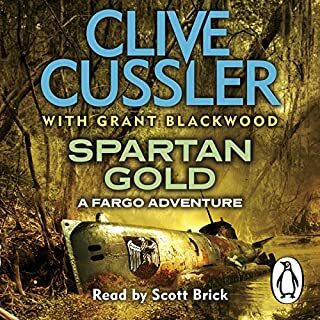 Please beg Scott Brick to come back and record this book and the Sacred Stone after all for fans of Clive Cussler he is the voice of this series and the other series'. What made the experience of listening to Golden Buddha the most enjoyable? It's been great to fill in the missing books from the Oregon series and see where it all started. What was one of the most memorable moments of Golden Buddha? Not without giving spoilers! I think my favourite are the descriptions of the Oregon. 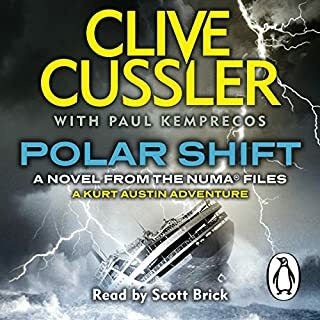 The rest of the series, and all the other Clive Cussler books are narrated by Scott Brick, each character having its own voice, which we have grown used to and provide continuity. I don't understand why they are still using Scott Brick for all the other new books and series 'fill ins' but changed to J Charles for the first 2 Oregon books. I don't think he's a good choice, he sounds like he is gritting his teeth as he talks, pauses or emphasizes at strange moments, and his female voices are awful (as are any non-American accents). Not really. I'd return it except I really want to be able to listen to the whole series in order again. Please 're-record this book (and Sacred Stone) using Scott Brick. The intro by Clive Cussler was interesting, but he sounded either drunk or extremely ill, slurring words. Not a good recording to include. i have been a fan of Mr Cussler and, particularly, the Oregon stories for years but have never read or listened to the first. It is interesting to see the formula being used for the first time. imo this story doesn't hold a candle to the later books, and the reader's silly, fake accents (if you can't do Tibetan-accented English etc. then don't do it. It is offensive to those who can) don't add value. but beyond these critiques it is a valuable story for the collection. 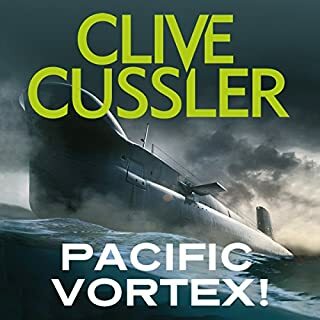 I have read a lot of Clive Cussler, and personally enjoy the Oregon files a lot, because of that sense of a tight nit team defying the odds was much more appealing to me than a main character with some flitting cameo's. That being said, this book could be a lot short. It takes a long time to get going, and whilst the plotholes are all part and parcel of Cussler's storytelling...with thriller taking importance over logic at times, it took a long time to get going and then seemed to drag on long after the end of the mission. Everyone had been shipped off home, home free..-checks time: Hour and a half remaining- WHY!? 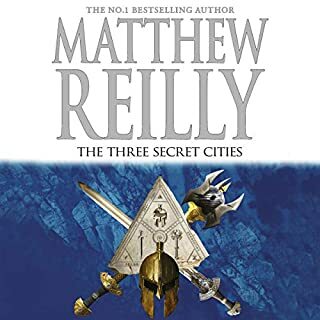 The narrator is not great, and the accents used for certain characters sounds like an uncle trying to do charades of a film scene, however, I doubt I could do much better with such a number of characters, at first I found him jarring, but it grew on me. 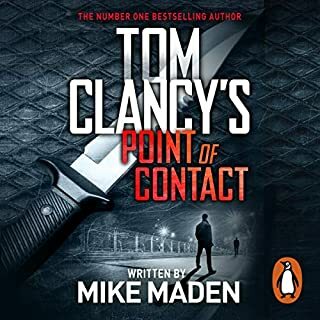 This is the sort of book that I would struggle listening to in the house, or while I was doing something else, because it would eventually fade into the background, only for me to tune in 10 minutes later with no idea where I was or what had happened. 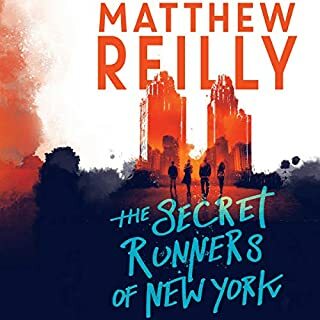 I made the biggest dent whilst walking to and from places when I could do nothing but focus on the story, and once I was immersed in it, it was thoroughly enjoyable. A good 'gym' book for the cycle machines. As a big fan of Cussler's Dirk Pitt and Fargo novels, I was expecting better from this.